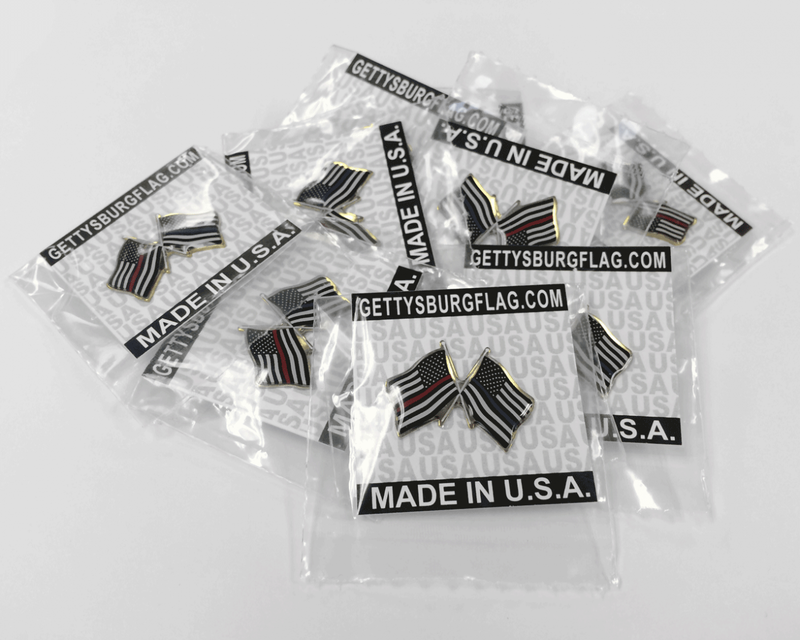 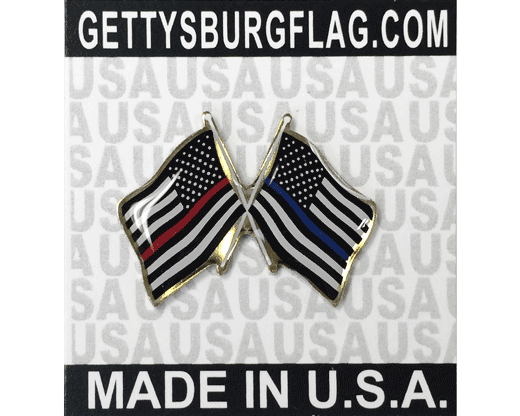 The official crossed flags of the Thin Red Line and the Thin Blue Line flag made into a high quality, American made, lapel pin. 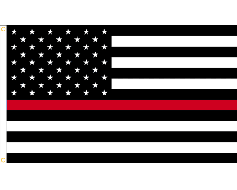 This design represents the brave men and women of the police and fire departments. 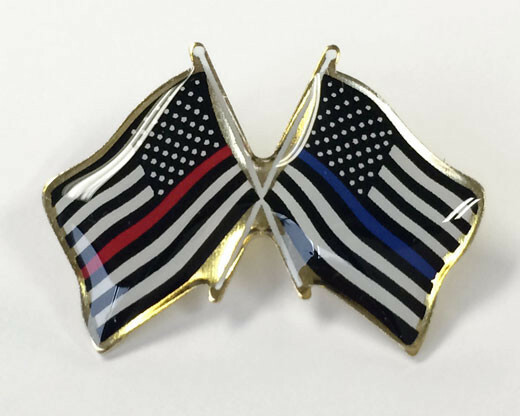 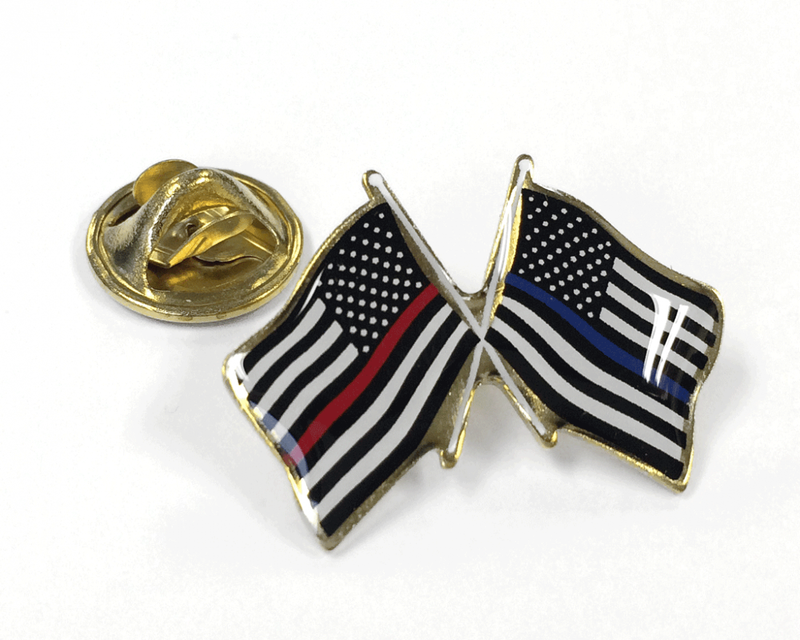 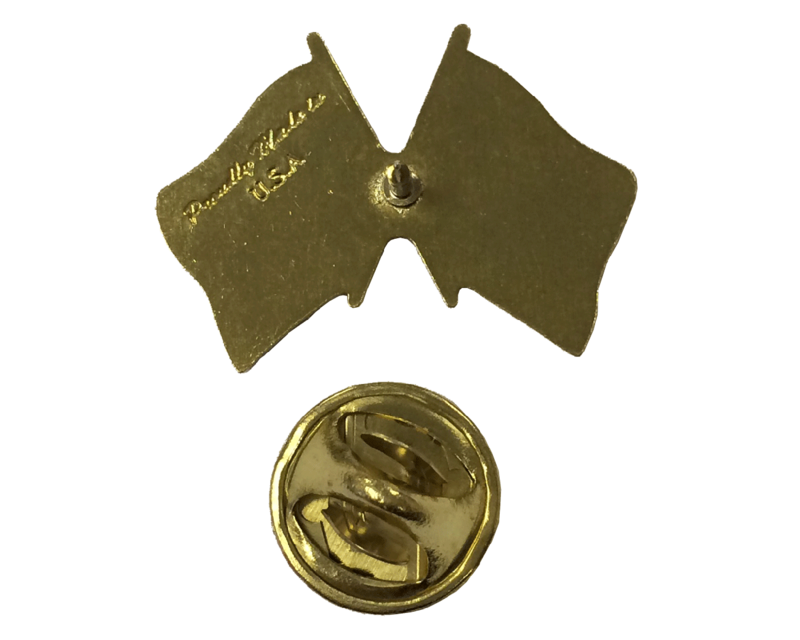 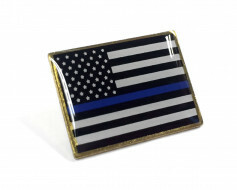 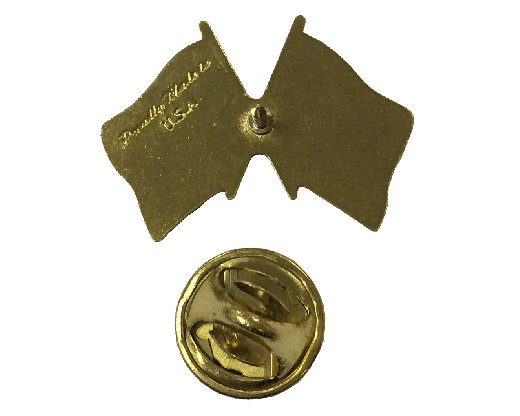 Thin red line and thin blue line flag lapel pin with clutch fastener for securing to clothing.